isn’t this alphabet design cool? 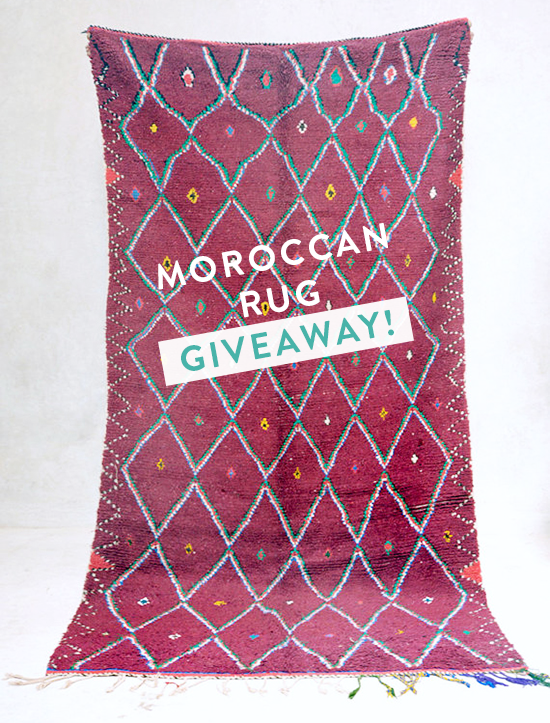 so many unique rugs…click through below to enter, and good luck! 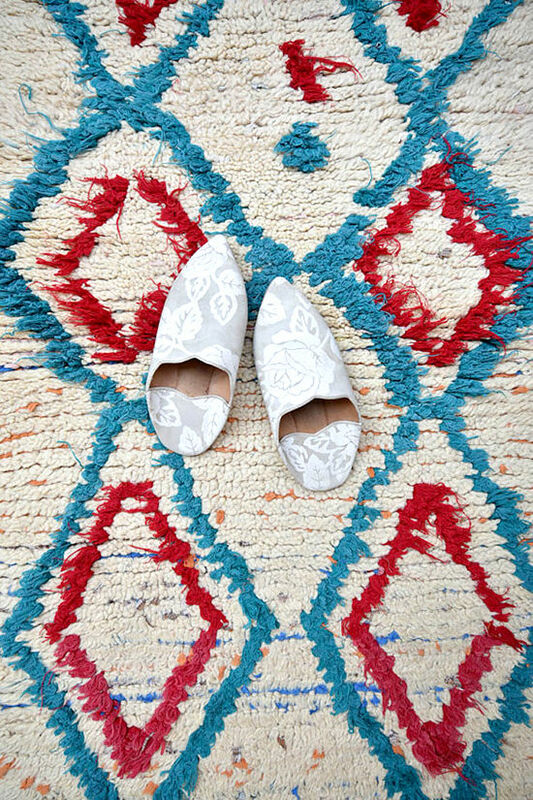 3) leave a comment on the blog post with a link to your pin of the rug!! one winner will receive a rug of their choice valued at up to $700. the winner will be chosen on august 17th at 10am PST. open to international readers, yay! Fingers crossed. .move into new pad in 3 weeks! Umm hello! These rugs are amazing — would love to win one. So hard to choose just one, but the Joie de Vivre is a fave! These are too beautiful for words! I would be so delighted to win one! Just moved into a new place… Need a new rug for sure! which I could afford a house full of these but just one would already be wonderfull, but this one beats them all!!!!! love this rug! it would give my room a pop of collour. I thought this rug would look great in our nursery. NO better way to add lots of color than a rug like this! I love so many of these rugs! would be amazing in the home we are trying to buy!!! Obsessed with all of them! Pinned! I love how soft this one looks! would look so great in my new space! but really I fell in love with AUGUST MOON when looking through the site! Just moved into a new home and would love to see this one in there. What a great giveaway. So many great rugs. I like this one a lot. A beautiful rug perfect for the end of the bed! Omg!These are great! Thanks for the chance! Beautiful colors aside, this one is called “Living In The Sunlight” … so,yeah, I’m obsessed. Very much need a rug in my bedroom! It’d be fun to see such beautiful colors first thing in the morning. I love this Song for the Blue ocean rug. I just moved into a new apartment that is in desperate need of some cheering — one of these rugs would do the trick! I love this one! “A Little Stardust Caught” – soooo gorgeous, all of them – it was so tough to pick! Love this one, perfect for my sons room. We lost his rug during a move so it’s been impossible finding a replacement, we’re picky! Love these rugs! Moving in the end of Aug- this would be PERFECT! Oh my stars, I LOVE these rugs!! It took me forever to choose my favorite one to pin. Such a fun giveaway, thanks for the opportunity to win one!! Very hard to pick a fave! Love the black and white, but also loving this color pop! Love how bright and vibrant this rug is! It would make an entire room pop and I love that! A textile designer’s dream! Love this White Tiger guy like whoa. There are way too many rugs here to fall in love with! love the black and white rugs. I’m totally in love of this rugs. I adore the pink ones. I am moving from Cleveland to D.C. in about a week and have been on the hunt for rugs for my fully hard floored apartment. Those light pink rugs got my all heart eyes emoji. omg these rugs, these colors! THE TEXTURES. The Mountains Are Calling, wut. Amazing. These are gorgeous! Love beach picnic kises! These are beautiful! Fingers crossed! I love the simplicity, modern feel of the WINDOWPANE 7’2 x 3’5 Boucherouite Rug. Beautiful! Fingers crossed! Loving this one: thanks! Subtle yet totally charming. Would love this in my home! Why hello there ‘White Tiger!’ Love this one! Looking for a unique and beautiful rug for a nursery and winning would be amazing! These rugs are the most wanted!! Would love to have this in my home but also share with clients! Love this giveaway! So many pretty rugs. This one would work great in my new house! These are just beautiful! So tough to choose. Pretty rugs! This one reminds me of the rugged PNW where I grew up! Oh these are amazing. Thanks for the giveaway! These rugs are beautiful pieces of art! we’re moving to our new home in a few weeks, this would be perfect! Obsessed with this for the early California hacienda we just put an offer on! How fab would this be under my vintage wooden table and benches? Love these rugs, look so comfortable while also being unique. Such an incredible collection! Thank you for the opportunity! Crossing my fingers and toes! Will be perfect for my new living room! Love it! I’ve wanted these style rugs for a while now. I pinned a couple, but here is one: what an amazing giveaway, really! I’m not in the UK by the way. I adore these all, would be so hard to choose! I adore them all, so hard to choose! Absolutely love the neon colors of this one! I would love to make a roman blind out of this beauty!!! I am absolutely in love with these rugs! This would be a perfect accent piece for the all white home I am creating as a fresh start after a tough break up. I love them. I went to follow and I already do. Would love love to win. These rugs are absolutely amazing! The color and design would give a breath of fresh air to any room. I had such a hard time picking my favorite so I pinned several that would go wonderfully with my vintage craftman desk and a the most ridiculous wonderful oil painting of an old man I found at a flee market. Oopsie! Here is my pintrist link! moonflower is so lovely- they all are- but this one is just super cute! This one is simply amazing!! I love the colors and shape of the Sleeping in the Forest rug ! Those rugs are incredibly beautiful. I feel like if I am fortunate enough to win one, or own one some day I could lay and stare at it for hours. “ETERNITY is the OTHER POSSIBILITY” — has there ever been a better name for a rug? I want to give this one a good home. Obsessed with this one that would go perfect in my new office! LOVE the colors and the size is unique and lovely! “ETERNITY is the OTHER POSSIBILITY” — has there ever been a better name for a rug, or anything, really? Lovely. Loving the We are the Wild Roses rug!! How cool are these rugs??!! Hard to pick but moonflower grabbed my heart! I love every rug in their shop!! This rug would be perfect for my living room! We moved into our new home 2 months ago & one of these beautiful rugs would look so beautiful in our new space! Gosh, it was hard! I wanted them all!! Pick me PLEASE pick me! So hard to choose a favorite, but I loved the Ways of Woodfolk rug–the yellow pattern looks like wildfloewrs! Love the colors in this one!!! We just bought our first home… closing in Sept. This would be beautiful on the wood floors! They’re all so good, but here’s my favorite. I just love these rugs so much! Would love to walk barefoot on one soon. Such stunning rugs! So beautiful! I adore the colors!! Just want my house has been missing. Would love to win! We recently bought a fixer upper and are slowly making progress on each room. Any one of these rugs would make a beautiful addition! I have 2,000 square feet of loft to cover and would DIE for one of these!! LOVE that each one is unique! This purple one is everything. Unexpected color choice and PERFECT for photos. Dying to win one. Pick me, pick me! Such gorgeous rugs and I’m in the middle of redecorating my home right now! Fingers crossed!! Redoing my babe’s room and transforming into a little girl room. Crossing my fingers, my new place still needs the perfect rug!!!! Oh my goodness, these rugs are gorgeous! I want all of them! This one is gorgeous! just bought a house, and am looking to finish off the spaces. any of these rugs would be an amazing addition. Sooooo many good ones to choose from! That was difficult and I’m sure I won’t win but what the heck! These are just amazing. In love and now obsessed! In love with so many of these rugs! LOVING this rug! Would look amazing in my very first apartment I am moving into in one week! This would be so bomb for my dorm room! Went a little crazy pinning! So inspiring, love the colors!! Sorry just a few more, they matched my home Pintrest board perfectly!! LOVE LOVE LOVE please pick be lovelies!! We just bought an apartment and I am DESPERATE for an awesome rug in the new guest room!! “Unique and fabulous” for sure! This was such a fun board to scroll through. Would love to win this one for my master bedroom! Such pretty rugs! I’m sort of in love. Dreaming of one in my apartment. Dying over the Icelandic poppies rug! Choose me! I LOVE these rugs! So beautiful!! Mad Dreamers – love the name (and the rug of course!). My favorite is definitely the one called “Been GAZING OUT over SUNSHINE.” Stunning colors. This rug would look amazing in my living room! I’m obsessed with all of their rugs!! I’ve been on the hunt for weeks for a new rug and have even been eyeing one or two up from pinkrug co! Dreeeeeeaaaam, dream, dream, dream, dream, dream, dream, dream, when I want you in my arms, when I want you and all your charms, whenever I want you, all I have to do is dreeeaaaam, dream, dream, dream. These are beautiful; here’s my fav. Oh man, I’m overwhelmed at the idea of choosing one, because they’re all beautiful. I love the warm colors of this one, though! Love all the cream and black options! So so so much yes please!! These all look incredible and I’m dying for a fun rug that makes a statement for the bright, open living room in our new townhome! The rugs are so unique! Truly creative, yet gorgeously reminiscent of traditional designs. Perfect for the look Im going for in my house. love all of these rugs!!!! I’m so in need of a rug and these are amazing!! now sooooo many people have entered, and i never win anything anyways, but STILL these are pretty and i’m redecorating my place in brooklyn and a rug is fully necessary. i think this might be a favorite, but really, they’re all beautiful and add a lot of warmth to the space. Thank you Design Love Fest and Pink Rug Co. for bringing so much beauty and inspiration into this world. This rug reminds me of a rug in my grandparents home that made me fall in love with design as a young girl. The connection between memories and art is a magical thing! 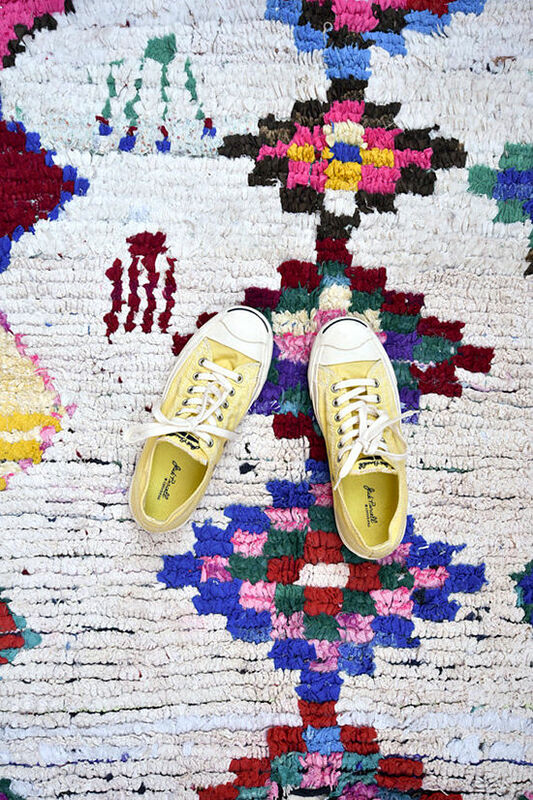 Adore these rugs and your blog! Love following you on Snapchat, Instagram, and Pinterest! i would die if i was lucky enough to have one of these in my home! Enjoyed seeing all of the fabulous rugs. So much fun to imagine in my boho living room. All of the rugs from Pink Rug Co. are so stunning!!! Am absolutely loving this one: . These are so beautiful! I’m just about to move into a new place and one of these would be perfect! Crushing hard on those pale pink rugs! This is tough, because I’m always drawn to the more neutral rugs, but would really like to bring in some nice color! We’re shopping for a rug right now to go with two new West Elm chairs upholstered in oatmeal. I would love to win this to make the room complete! Wow this company has such a great selection! I love them all, I can’t pick a favorite so I pinned a few. LOVE! Especially that amazing alphabet rug. What a beauty! Keeping my fingers and toes crossed. These are seriously the most beautiful rugs I’ve ever seen! need it all in my life! Love Love Love me some Moroccan rugs!! The colors in this one are just perfect for my house. Bright but not to over powering. Although I’m pretty sure I would feel guilty stepping on such gorgeousness. These rugs are AMAZING! Def would love to see this every day! These rugs are so gorgeous!! OMG, They’re all so pretty. Circus Tent–Love the names of these! I love all of the colors and textures! beyond gorge and so unique! Rug FOMO now. Wow! Love love love them all! love, love, love these. moving next month and would love to have one of these in my new living room. Hard to pick just one. Love them all! I am getting married in two months and my husband and I are in desperate need of a rug for our livingroom! This would be a HUGE blessing! such lovely rugs but i love this one!! 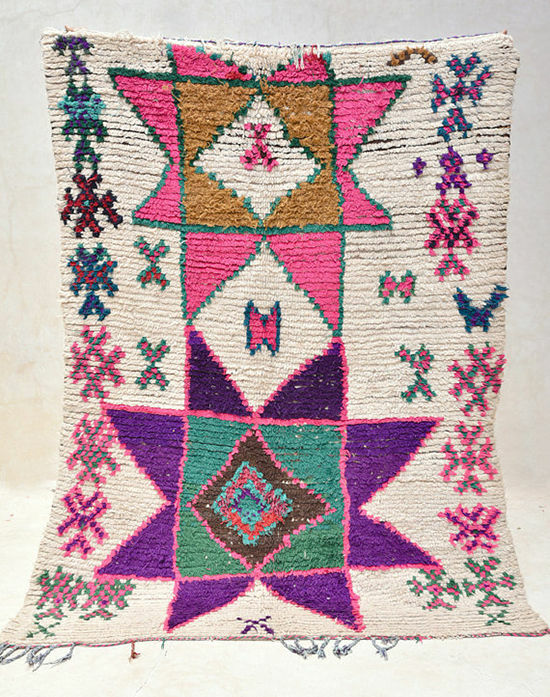 Have ordered from Pink Rugs co. in the past! 100% OBSESSED with these rugs! I would love to have this in my sweet babe’s nursery! So beautiful!! Makes me miss Morocco! These beautiful rugs make me think happy thoughts. I needed that. All gorgeous, I agree with Miranda the beauty and happy vibes were just what I needed ! This rug is what DREAMS are made of. I know exactly where I put it and can totally see my kitten cuddling up on it. They have such a beautiful selection of rugs!! It is impossible to choose only one, these are incredibly beautiful! Would love to win a rug like this with! Love these rugs! I am doing a bohemian vibe with bright colors in my studio and this would be perfect in it! they are all beautiful! love this one! I’m dying to see my cats sleeping in one of these rugs! ah I would be so excited to win! 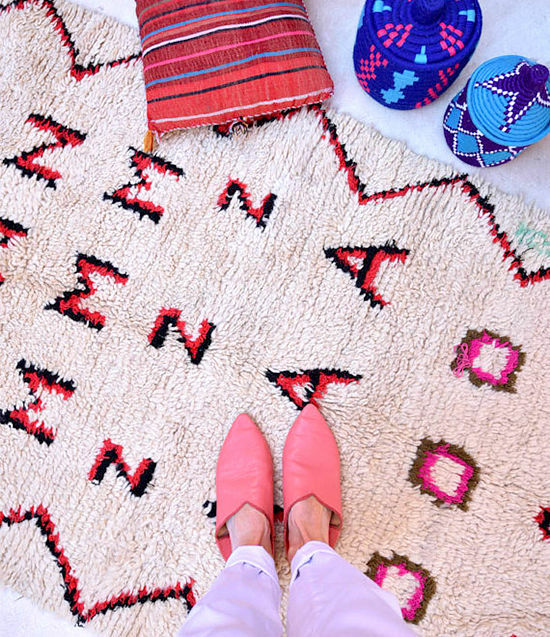 I’ve been drooling over the Pink Rug Co. for months!!! <3 This one is exactly what I need in my life! This rug give me lyfe and My new flat is still rug-less! Ahhh these rugs are amazing!! I absolutely love the little pops of color they have in them! I need some prettiness for my new apartment! Love!! Seaweed colored eyes is beautiful! I recently visited Marakech in April and fell in love with the city, people and craftsmanship! I was so excited to see this contest! Perfect for our new living room! The perfect rug to be the centerpiece of the living room decor in our first house. Literally, Every single rug is gorgeous! So many options!!! Oh man crushing so hard on these! Nothing like it in NZ! The colour palettes look just like my illustrations! I freaking love pink rug co. I couldn’t decide on just one! And the organic lines makes it perfect! So many beautiful rugs to chose from, but I love the one called Living in the Sunlight. I’ve been dying to get a rug from Pink Rug Co. for some time. I’ve been saving up money for a big area rug from there because I love how colorful and vibrant they are. Saw you post a rug of their’s on your IG a while back and have been in love ever since! I love so many of their rugs…it’s too hard to choose! Amazing rugs! Such a great selection! Love these rugs! Moving on the 20th and would love something fresh and bright! 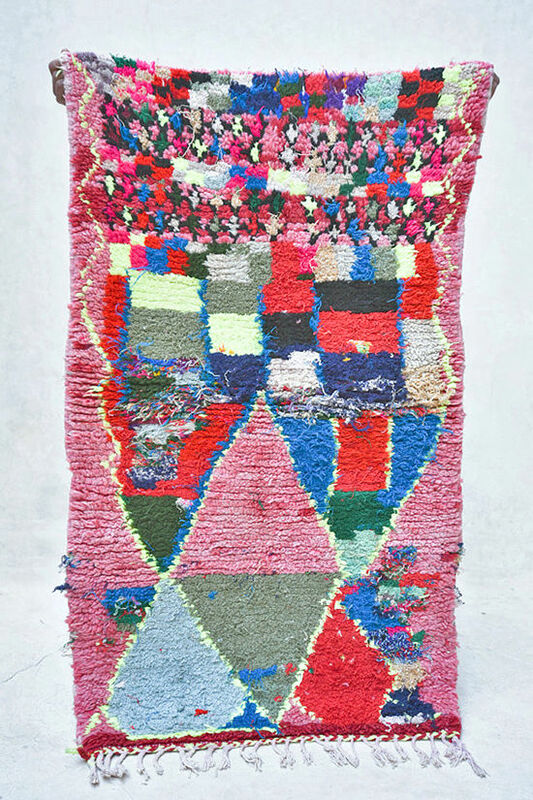 Love this dusty fuchsia rug! Love this rug and this company! So many rugs, so little square footage! Absolutely in love with these rugs!! Would love love love to have a rug like these in my brooklyn apartment…thank you for the opportunity! How does a person pick just one of these to pin?!? Love all the different plays on texture and color. Gorgeous! I am loving their site! I’ve pinned a couple of them but this one is my favorite…loving the pop of blue! Such beautiful rugs! My favorite is the cloudbreak tavarua island rug. Gosh, every single one of these rugs are so gorgeous. Passing this site on to each of my design and architect friends for sure! If I win win I would be the envy of them all 😈 And more importantly, have the rug of my dreams! The question really is….how do you even just pick one favorite?! I love too many to just choose one. So lovely! I just adore her shop, and would love to have a few of her rugs in my home! Love this rug for my new apartment! These gorgeous tapestries are my favorite – especially those with colors like Impressionist paintings! Wow I just looked at every rug ever posted on the Pinterest board! I love them all! I have a tiny non authentic one from world market. It would be a dream to have one of these beautiful rugs! I would cherish it and lay on it and Instagram it…sorry daydreaming. this one’s a little out of the winning price range, but it’s so beautiful…. a girl can dream! Just moved into my new home and would love this!! so beautiful! Beautiful rugs! I need on of them in the cold Sweden! We get married in a few months… Wouldn’t this be a spectacular wedding surprise! Loving the whole marine vibes of this rug! Love so many it’s hard to choose!!! I love seeing expat businesses! These rugs are so gorg. I would love one for my new home office. Pink Rug Co is amazing! I’m in love with the Boats Agains the Current and the Pace of Nature designs. Pink Rug Co is my favorite! Gorgeous rugs! They all seem to have such great character!! What a cool site! I love the look of Queen of Flowers and have pinned it to my “classroom” decor board. Thanks for the giveaway! Forager’s Harvest harvest, yes please! here’s my pin, i love these rugs! Amazing rugs and such great inspiration on their boards! Awesome Etsy store as well. Beautiful rugs! here it is! love them all. i’d love to replace my generic rug in my baby’s nursery with one of these gems! These rugs are awesome. I love their uniqueness. The Encyclopedia of happy thoughts rugs is so fun with its colors and design, but each of these would be a pick-me-up in any room. This “Beach Picnic Kisses” rug is #goals! Joy Blossoms, that’s my fave. So inspired by the rug ‘Many a Sweet Thing Said.’ As a type and font lover, I can’t think of a better rug to warm up the floor in the winter and bring some joy inside. I love how warn these rugs and at the same so chic that they were so ahead of their time when they were woven! The “Island Born” Rug is definitely one of my faves. There are so many great options! I just moved into a new house two weeks ago and I think the below would make the best addition to my new space! 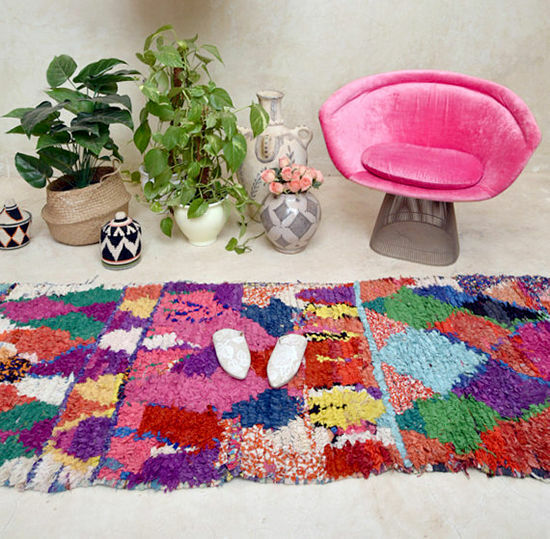 Such dreamy rugs and the presentation/photography is on point! This rug would look so good in our new apartment! So beautiful!! I want one for my room, I’ve been rug shopping. Could a rug change my life?? pretty sure that this one WOULD! Love. Would love to have this hall rug in my new apartment. So when I enter this beautiful rug is what I see first. What an amazing collection of rugs! Impossible to pick only one! OKAY OBSESSED 😍 Gorgeous rugs! Hard to choose just one since they are all so gorgeous. Love these rugs! I’m happy to have a new resource for projects. This gorgeous mid century Moroccan rug caught my eye. The graphic pattern is perfect with the pops of color around the border. Beautiful rugs! I’d love this cozy one for my new home! I’m pinning one for my living room! AND one for my bedroom! 🙂 I could float away in dreams for hours on one of these magical rugs. These rugs are so beautiful, it was way too hard to just pick one! But, this one is my favorite! I love how bright it is, I can already picture the decor that would go with this! Adore these rugs! So beautifully curated. It would be hard to choose which one. These are all so beautiful and just what I’ve been looking for to style my new home! I’m working on updating my entry and this rug would be perfect! I love the Joy Blossoms rug, but they’re all gorgeous! It was so hard to choose. I’m pinning several on my boards…I love this one the most..I know it’s over 700 and I can’t pick it but it’s beautiful. 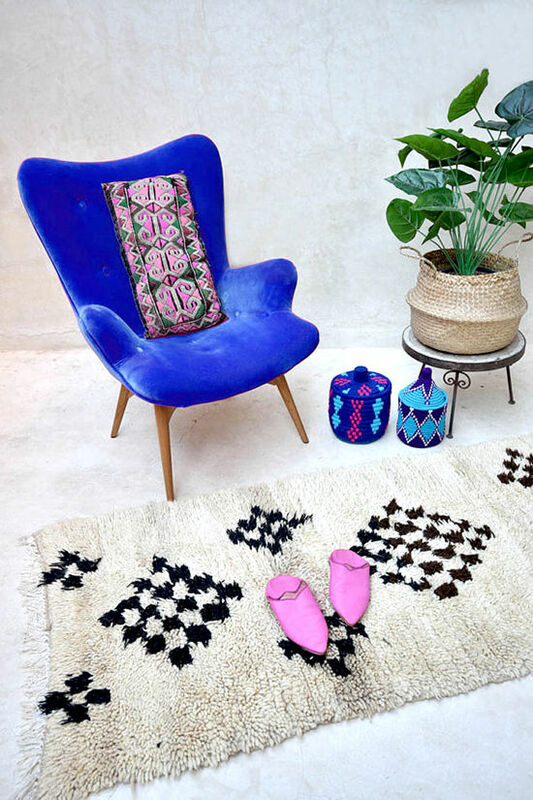 The Vintage Moroccan Beni Ourain rug is my favorite! I’ll be taking a look at their Etsy shop – for sure. The rugs are so unique (and pretty)! Specifically, the Days Run Away Like Wild Horses rug. Would love a new rug! love love love these muted colors! I feel like I’m always stalking their Etsy page! haha. So much gorgeous inspiration! So glad to follow their pins. Ahhhhh. They are all so beautiful and the names make me love them even more. I would do a total room remodel around the rug! near impossible task choosing just one but I have to say this light blush toned one if my fav! All so so so lovely! I’m a sucker for a classic, and I love the sense of play in The Pace of Nature rug. I’ve been a long time admirer of these–would love to finally have one to call my own! Ooooh, so many to love! I want all the rugs!!!!! Here is a link to my pin! I love these rugs. I could really use one for my apartment – . These rugs are all so stunning! J’en veux , alors J-7 avant mon départ pour Marrakech…..
I’m a pakistani girl living in the Netherlands and i am OBSESSED with evrything moroccan! Thankyou designlovefest for introducing me to pinkrugco. This one here would beautifully complete my house. Even though pakistani carpets are well known around the world, I am a big fan of colourful morroccan rugs. How great would it be win one! Beautiful rugs, i like this one a lot. Lop poor this rug, it’s exactly what I’ve been looking for!!! Would be a beautiful statement piece! Oh my gah, I’m obsessed and their is so inspiring! This would be such a dream come true! I LOVE them! They’re so beautiful! Great work! I love this rug! It is perfection. Always wanted a pretty rug! Checked out all of the rugs and I am obsessed!! Oh wow, hoping to win this giveaway like I’ve never hoped to win one before! My lonely wood floors have been really cold this summer and they really want a rug to snuggle up with. Particularly this one or something of the like! Out of stock but not out of the question! They are all so pretty. It is hard to choose. Man it was hard to choose just one! They’re all stunning. This one is stunning but i love all of them! !